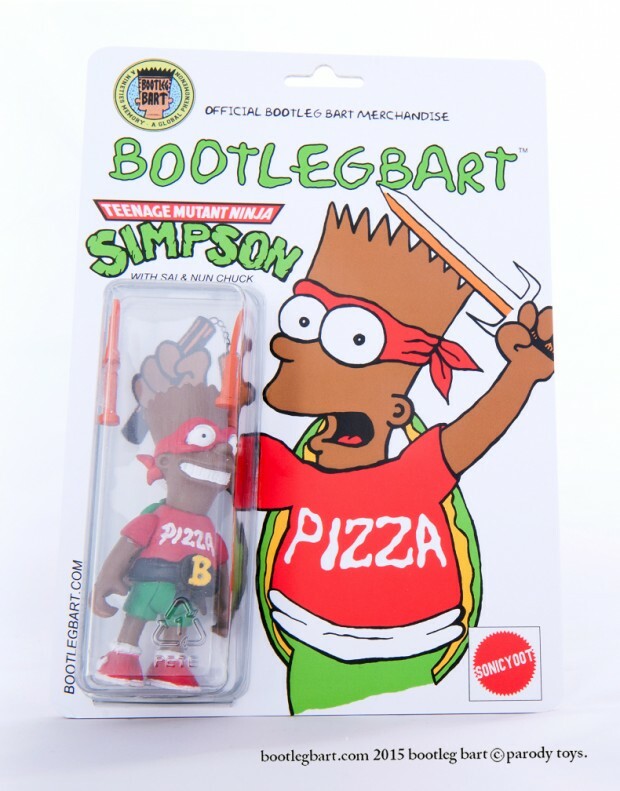 Bootleg Bart mainly offers vintage The Simpsons knock-off merchandise, but it occasionally sells custom made collectibles that look like, well, vintage The Simpsons knock-off merchandise. 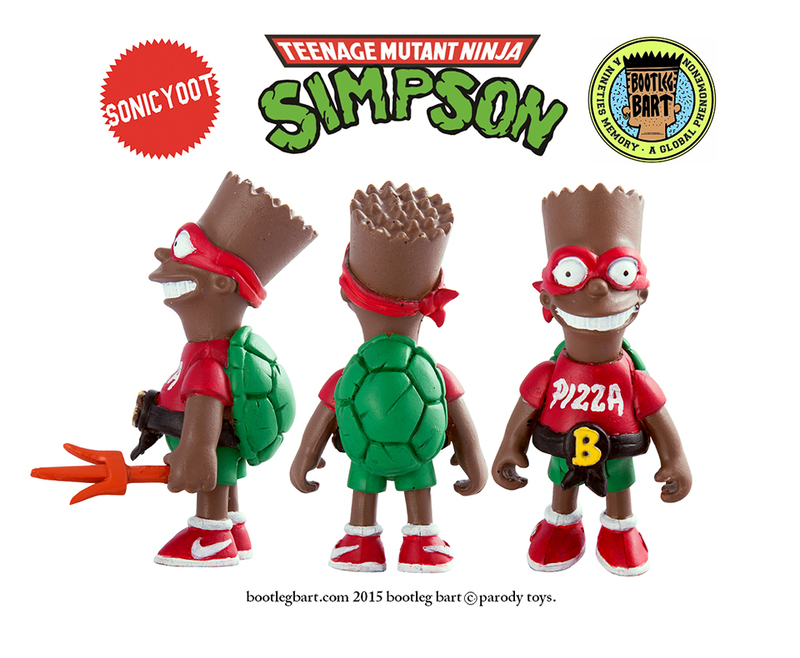 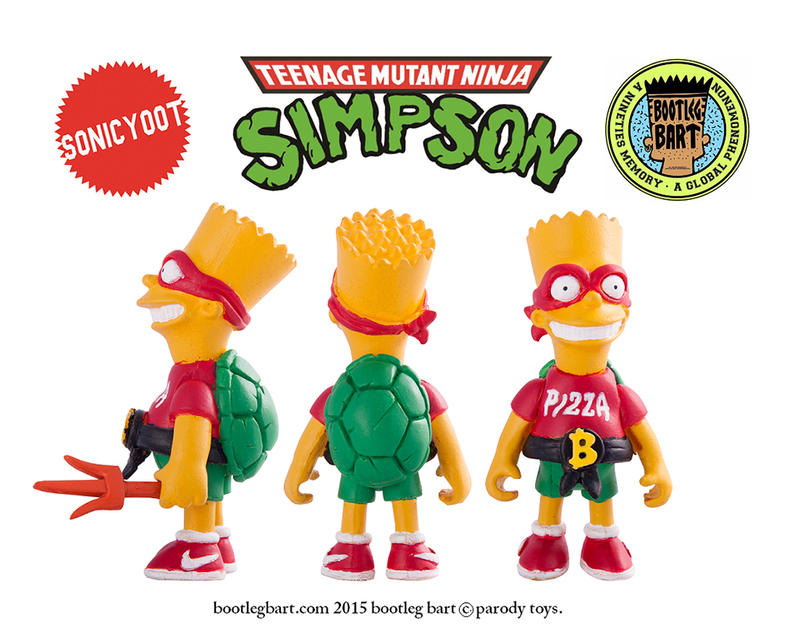 Their latest collectibles are these limited edition Teenage Mutant Ninja Simpson “fully non-poseable” action figures made by Sonic Yoot. 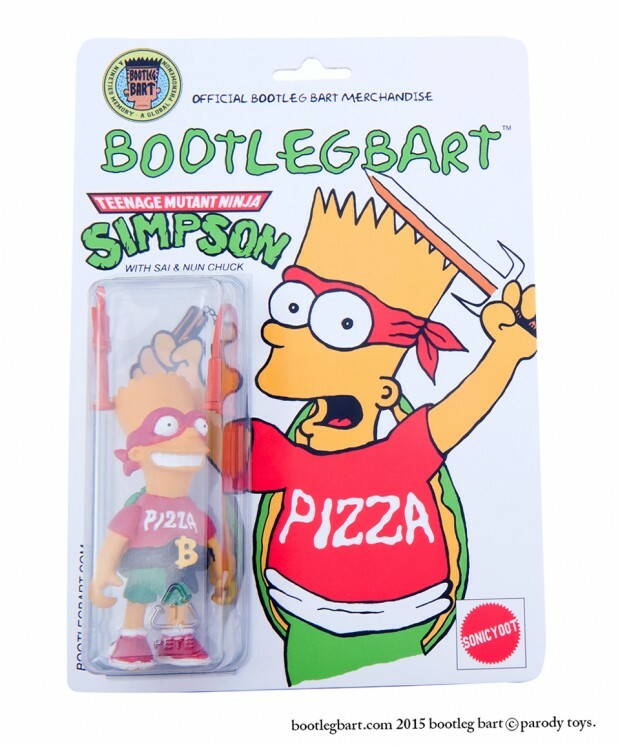 The 3″ figures come with “crappy sai & nunchuck” and retro packaging. 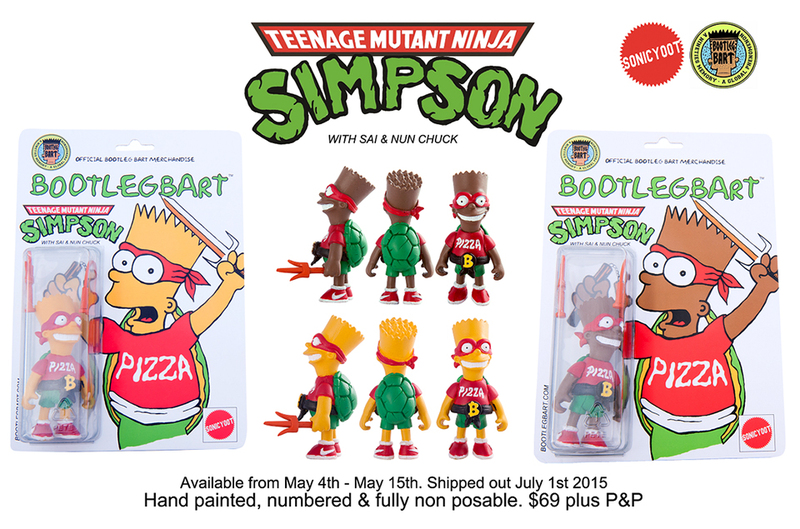 You can order them from Bootleg Bart’s online store for $69 (USD) only until 5/15.